@whatsuptucson is the Twitter account that I run which features local information, breaking news, lost and found pets, fire calls, emergency related info, community events, and lots of tips and photos from followers sharing traffic accidents and other newsworthy events as they happen. In addition, I tweet police calls to break up loud parties, DUI checkpoints, alerts about speed traps, and helped people and organizations get the word out about a variety of things like fundraising car washes, lost relatives, and the list goes on. As I write this, I just tweeted about a javelina running in traffic near Broadway and Campbell. At first, it was an exciting hobby and I enjoyed challenging myself to gain a following. 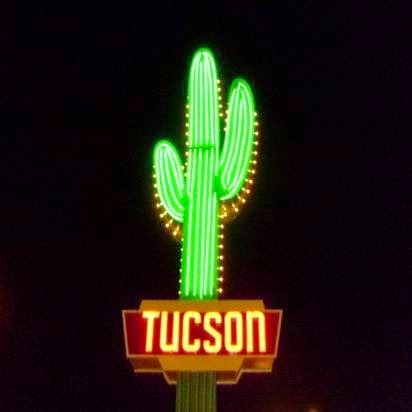 Since 2009, it's grown exponentially into a real community resource that has been used by police departments and other emergency services, local news organizations, city officials, traffic reporters, and people who live in (or love) Tucson. It took four years to reach 10,000 followers, 17 months after that there are now over 25,000 followers. @whatsuptucson is still run as a one man operation (me!) and it's no longer a hobby. It's turned into a second job. A money losing second job. Don't get me wrong, I enjoy doing it but I've invested thousands of dollars and thousands of hours into this project and currently spend about 25 hours a week working on it (that's outside of my full time job). I don't make anything from the work. The only money I've ever asked for was a GoFundMe earlier this year to pay for a new scanner and the funding for that was short. Since it was my fault that I underpriced the scanner model needed to work with the new emergency radio system in Pima County, I paid for the difference out of my own pocket rather than ask for more. I'm funny like that I suppose. Most people would expect to get a paycheck from a second job. I've handled this project a bit backwards. I thought if I made the investment in time and equipment and it turned into something successful, I'd eventually find a way to monetize it. That hasn't materialized. But, at least it's been successful at helping people in a variety of ways and that has encouraged me to keep going. A few people have urged me to do a GoFundMe to give those who find the service worthwhile a chance to contribute to it's ongoing operation. If some guy could do a Kickstarter and raise over $55,000 for making a batch of potato salad, maybe I have a shot! I'm the kind of guy whose life changes with a few hundred dollars. So, I'm throwing it out to the universe. If it's something of value to you, then throwing in a few bucks is huge. I won't feel like the work has been a waste of time and money. If no one contributes anything, then I guess I know where I stand and I'll decide how to handle it from there. If you're willing / interested in making a contribution, click on this link: http://www.gofundme.com/whatsuptucson I set the goal high (in my view) at $2,000. If it's reached, I'll add a Facebook page to work as a companion. Thank you for your consideration and support with this project. You're a peach.